Little Doward is found to the east of the village of Ganarew, within the area known as the Upper Wye Gorge and covers an area of 82.18 hectares. 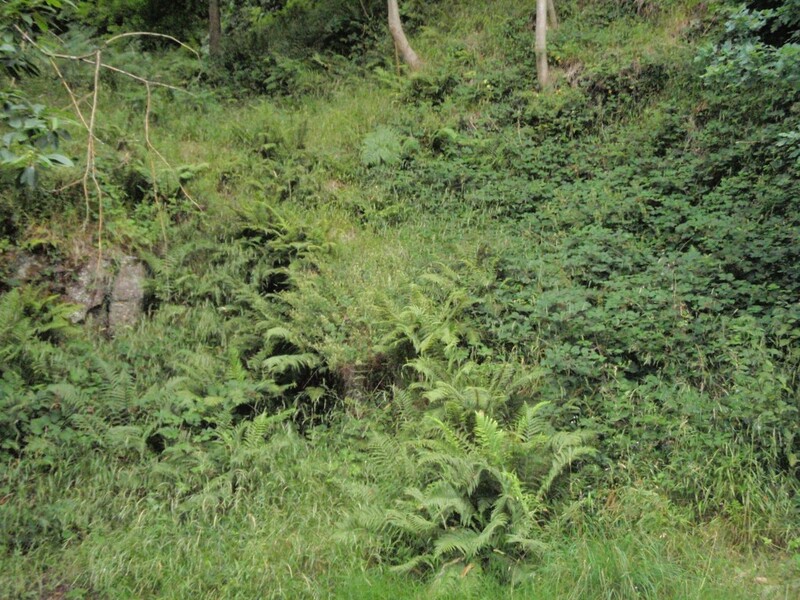 Little Doward is part of the nationally important Wye Valley Woods, and the woodlands diverse geology and historic management has led to a wide range of woodland and habitat types. Little Doward is one of a few places in the area where the complete geological succession from the late Early Devonian to the Early Carboniferous, a time span of roughly 55 million years, is accessible. 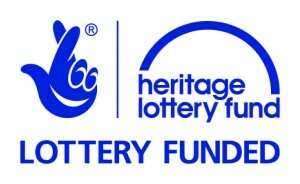 Due to the scale of Little Doward it was decided that there should be a focus on certain aspects of the geology, and therefore there are four separate sites that have been included within the Champions Project. Quartz Conglomerate Cliff is located near the base of Little Doward hill. The geology dates to the Devonian period of time, approximately 365 million years ago. The rocks here are conglomerates that belong to the Quartz Conglomerate Formation. It is thought that the contact with the underlying Brownstones formation may lie very close to the Quartz Conglomerate Cliff. 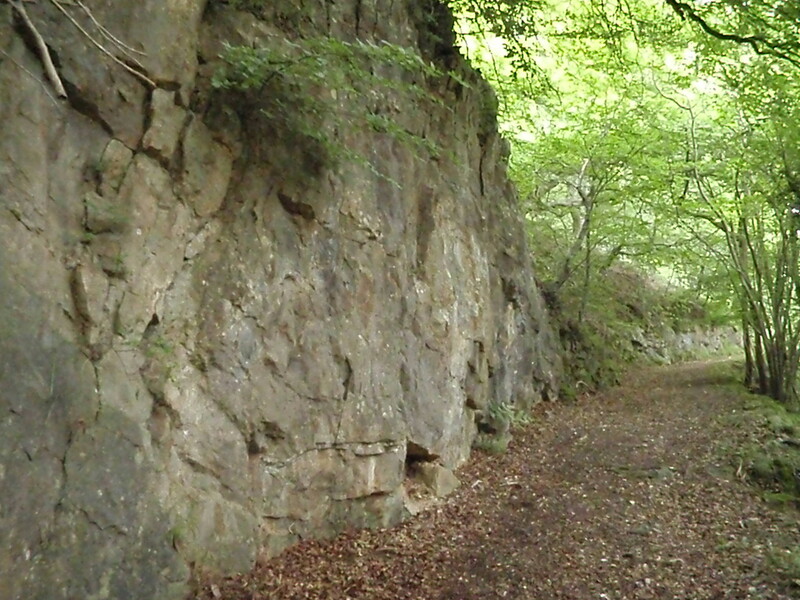 Tintern Sandstone Quarry is found higher up the hill and further to the east than Quartz Conglomerate Cliff. The geology dates to the Devonian period of time, approximately 360 million years ago. 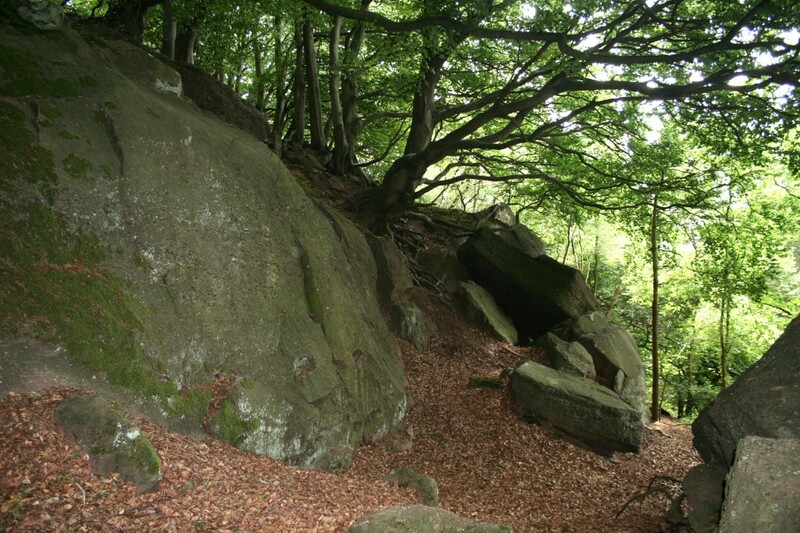 The rocks here are sandstones that belong to the Tintern Sandstone Formation. 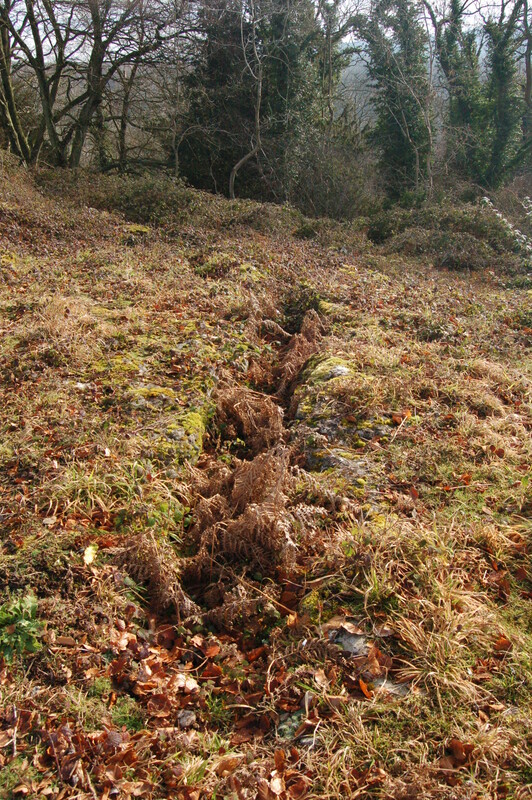 The site is currently very overgrown (as can be seen in the photo below). Clearance work is due to be carried out during Winter 2011. Lower Dolomite Cliff is found near the top of Little Doward Hill. The geology dates to the Carboniferous period of time, approximately 350 million years ago. The rocks here are dolomites that belong to the Black Rock Limestone Subgroup (previously called the Lower Dolomite Formation). Below the track the limestone rocks of the Avon Group can be seen. Limestone pavement is found on the top of Little Doward hill. The geology dates to the Carboniferous period of time, approximately 345 million years ago. The rocks here are limestones that belong to the Gully Oolite Formation. The formation of the limestone pavement began during the last Ice Age, approximately 10,000 years ago. As ice sheets up to 1km thick carved their way across the landscape, they removed the overlying layers of soil and rock, smoothing out the top of the limestone. Since then, water has exploited the existing vertical cracks within the limestone, enlarging them and forming the limestone pavement. A leaflet was produced for Little Doward and a pdf of the leaflet can be downloaded here: Little Doward Leaflet.